The Australian Bleeding Disorders Registry (ABDR) is a registry for patients in Australia with bleeding disorders. It is used on a daily basis by clinicians in all Australian haemophilia treatment centres (HTCs) to assist in managing the treatment of people with bleeding disorders and to gain a better understanding of the incidence and prevalence of bleeding disorders. This information will also be used to understand demand for, and to facilitate ordering of, clotting factor product. 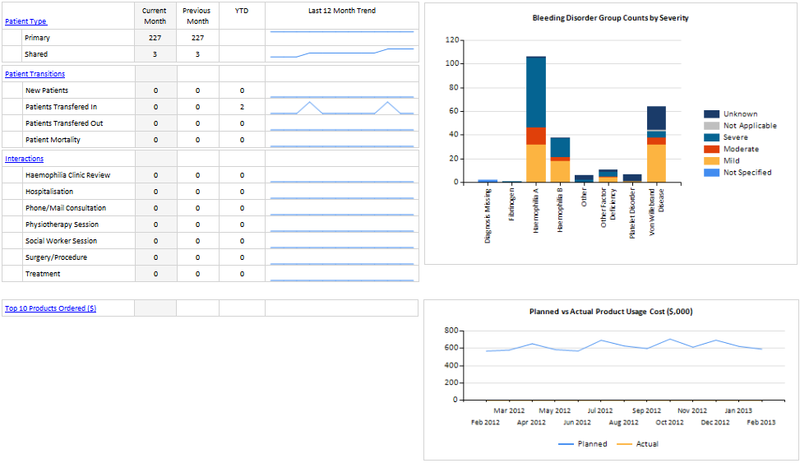 The image below is a screenshot from ABDR demonstrating the clinical diagnosis page (test data only). Click on image to enlarge. FIGURE: Screenshots of ABDR clinical diagnosis page. First developed in 1995, the current fourth generation system was launched by the National Blood Authority (NBA) in August 2012. ABDR is managed in collaboration with the Australian Haemophilia Centre Directors' Organisation (AHCDO), Haemophilia Foundation Australia and all Australian governments and is overseen by a Steering Committee, chaired by Dr Simon McRae from the South Australia Haemophilia Treatment Centre. The ABDR and MyABDR are provided by the National Blood Authority (NBA) an Australian Government agency responsible for the supply of blood and blood products in Australia. Doctors need to register their patients by completing one of the ABDR Patient Registration Forms listed below and faxing it to the nearest Haemophilia Treatment Centre or Bleeding Disorders Clinic where it will be entered by the respective Data Manager. If you are already a user of ABDR, simply click the BloodPortal Login link at the top right hand side of this page and select ABDR once you are logged in. If you work in a haemophilia treatment centre and don’t yet have access to ABDR, you should talk to your centre’s Director. You can then apply online for access by first creating a BloodPortal account and then apply for access to ABDR by selecting the ABDR icon in BloodPortal and completing the online form. Once your access request is submitted and then approved by your haemophilia treatment centre director and the NBA, you will be notified by email. If you are being treated through a haemophilia treatment centre and wish to view your record in ABDR, you should discuss this with your treating clinician. 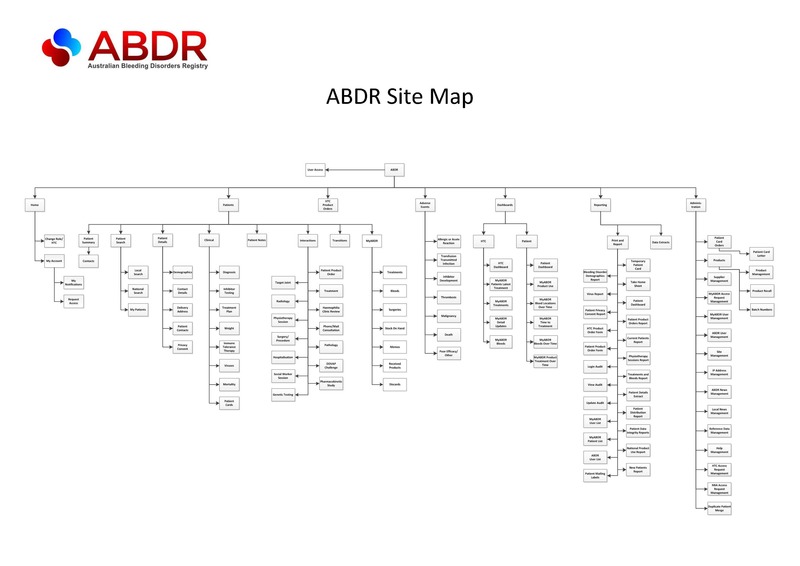 Aggregated de-identified data from ABDR and other ICT systems operated by the NBA is reported in the Annual ABDR Reports. 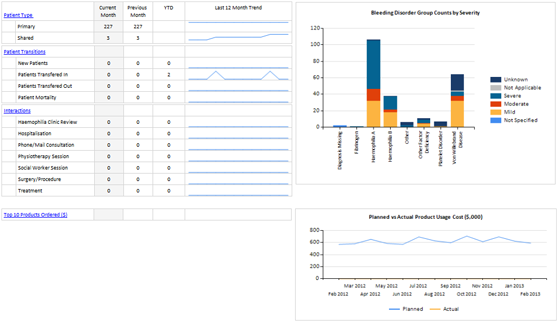 This includes similar reports to the below haemophilia treatment centre dashboard report. Click on image to enlarge.